Beaufor Champagne Vinegar is French and exclusively produced in the Champagne region of France. 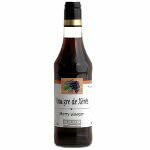 It is smooth and subtle, light and mild and a good choice if you are looking for a vinegar for a salad. Mix with a little nut or truffle oil to create a simple and elegant vinaigrette.